(CNN) Oliver Sonne had given up hope of becoming a professional footballer. The Danish teenager had lost his motivation, stopped believing and grown tired of training with his small town club. The 17-year-old wanted to do what ordinary teenagers did: hang out with friends, relax, have fun. “I started to think I’d never get to the point where I could go professional,” he tells CNN Sport. On the recommendation of friends, and in one last bid to fulfill his boyhood ambitions, Sonne downloaded a football app. Quickly, life changed. Dreams were revived. By using Tonsser, a Danish football performance app for players aged between 12 and 19, the central midfielder has signed an 18-month contract with Danish top-flight side FC Copenhagen and is now a regular for the Under-19s. On the back of his “off the charts” stats on an app which works as a social network and is currently being used by 600,000 young footballers, FC Copenhagen weren’t the only club interested in Sonne. He had a trial with French side Marseille, former Champions League winners and this season’s Europa League finalists, and was invited back to the south of France for another tryout. But, still young, Sonne did not want to leave Denmark and headed to his country’s capital instead to put pen to paper on a professional deal. 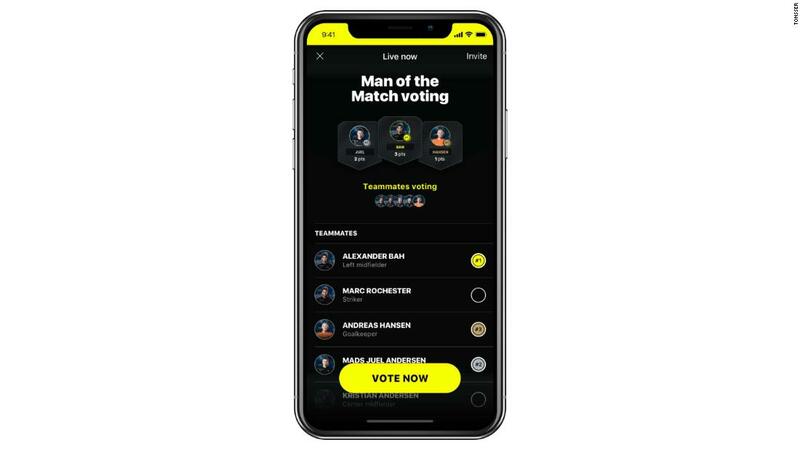 “After a short period people started looking at my profile and started following me and I got more people watching me,” explains Sonne of the app which allows players to input their own performance data and videos and connect with teammates. “A part of me hoped the app would help before I decided to quit completely, but I didn’t know it would actually come true. This is an app, say those who work for Tonsser, which could revolutionize youth football. 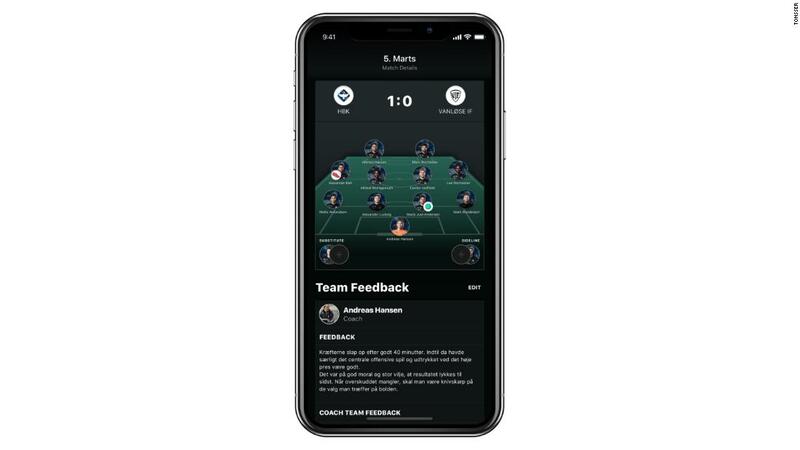 Started by Simon Hjaere and Peter Holm in a basement in Copenhagen four years ago, the startup is designed to give players control of their destiny. They compare their product to Linkedin, describing the app as a place where young players can build their resumes. 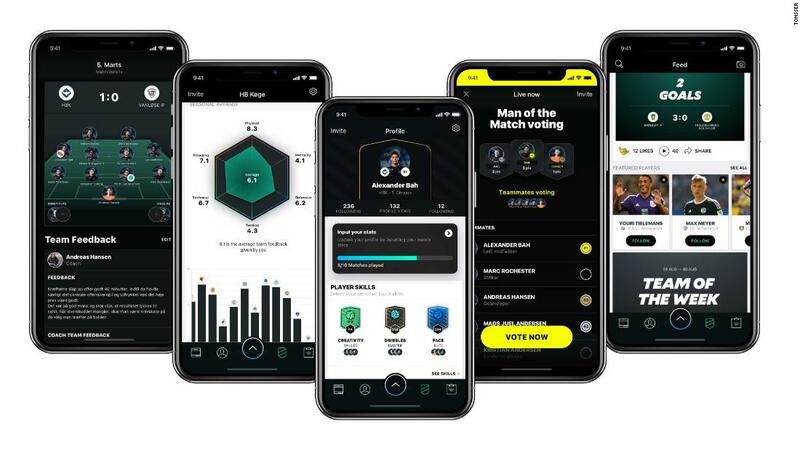 By creating their own digital profiles, using it to showcase videos and stats — such as assists, goals, man-of-the-match performances — Tonsser gives young players the chance to be noticed in a cutthroat world. This is a sport where dreams are often crushed and young hearts rarely mended. For instance, according to Michael Calvin in his book “No Hunger in Paradise” only 180 of the 1.5 million boys who play organized youth football in England will become a Premier League professional. The company now has approximately 30 employees and offices in Copenhagen, Paris and Berlin. Hjaere, a passionate football fan who once played in Denmark’s lower leagues, tells CNN Sport that his creation was inspired by Football Manager, joking that he spent too much time playing the popular computer game when he was younger. “We want a fair race,” says Hjaere. “No matter what their level, we want players to reach their potential. “Oliver is just one story. We had a Danish guy, he was playing in the seventh division in Denmark and from the data we could see he was a talented guy and he’s now signed a contract with a club playing in the third division. April in Paris and teenaged boys, eager to impress, are running, passing, sprinting and shooting. 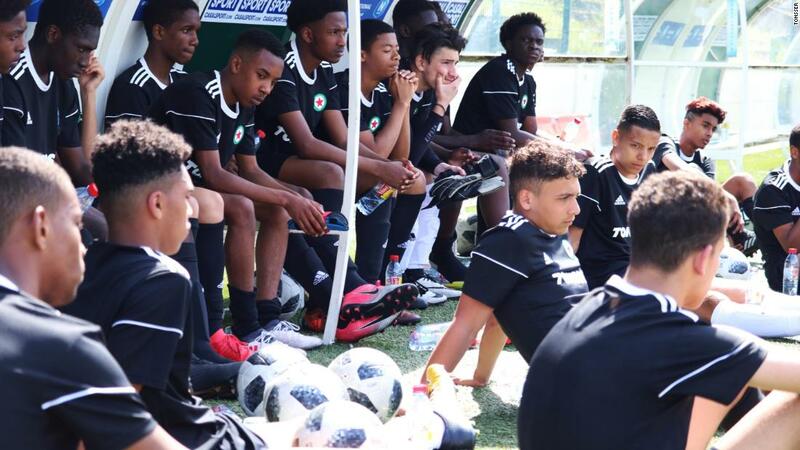 Over the course of three days in the French capital they have been given an opportunity to show off their talent to the coaches of the second division French club, Red Star Paris. Eighty-six of the players are there through Tonsser. It is the first time the club, the second oldest in France, has held trials for boys based purely on data. Located in the northern fringes of Paris, the club is located in arguably one of the most fertile breeding grounds in world football for top-class footballing talent. After all, about 10 miles east is Bondy, the birthplace of Kylian Mbappe — the teenager who helped France win the World Cup in Russia and returned home as the heir apparent to Cristiano Ronaldo and Lionel Messi. Parents look on from the sidelines, some are still puzzled by how their sons have been given this opportunity courtesy of an app. Twenty-seven of the 86 Tonsser users, he says, caught the club’s eye and are still training with them, while six have already been signed. 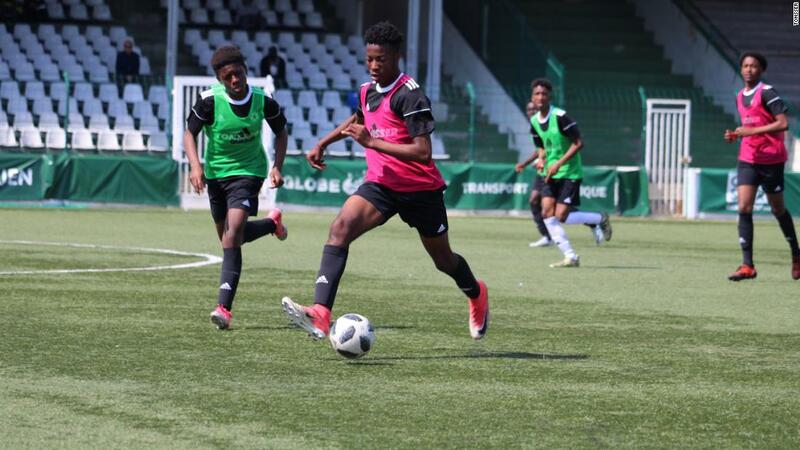 The world’s wealthiest clubs spread their scouting tentacles around the globe, hoovering up the best for their academies in hope that one boy at least will develop into a world-class player. Tonsser says it does not want to replace scouts, but “complement” them. The app’s aim, according to Hjaere, is to democratize the sport. Data is updated regularly because it is the players themselves who do so. “This is by far the biggest database with youth match performance data I have ever seen and it’s fresh data week after week,” Lars Bach Sørensen, Premier League side Southampton’s head scout in Scandinavia, has said. But what is to stop a player from falsely stating he scored a hattrick and created four assists in a game? Self regulation, says Hjaere. “We called more than 300 coaches to ask who they identified as being the best in the team and in almost every case the coaches pointed at the player in our data,” he says. 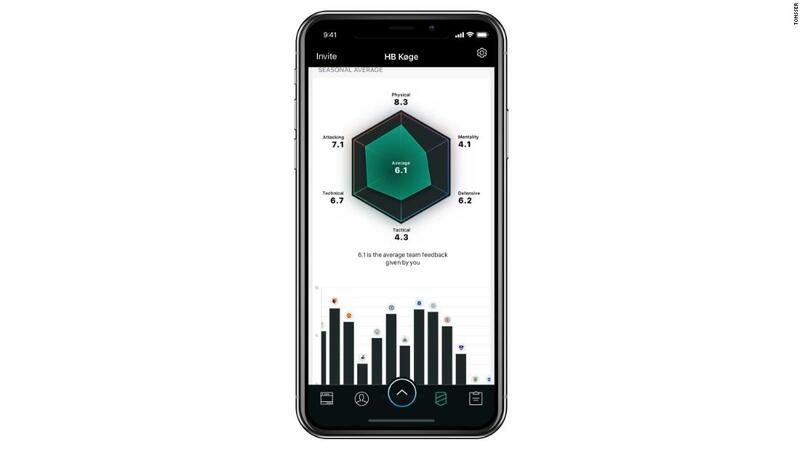 Poul Carmes, Tonsser’s head of scouting, travels around Scandinavia reviewing the top-ranked players on the app, making sure data matches performance. “I had the same doubts as everybody else,” he tells CNN Sport. “Players put in their own performance? I had to go and check all of this. “In over 90% of cases the best-performing players in the app were also the best performing on the pitch. “When I was out with a former Danish international who is now a scout, he got me to put some names on a list and I put two names with their numbers — seven and nine — and I put it in my pocket. “We agreed to watch the first half and after that he said he didn’t need to see anymore because there were only two players on the pitch who were any good and they were No. 7 and No.9. “Clubs have their own database from their own players, but there is no product in the world that has this amount of players on it, and the data is constantly refreshing. “With no doubt in my mind it could be a game-changer internationally. From the lowest level to the highest level. “This industry, at the moment, is controlled by certain people who have the right network like, for example, agents. Nikolaj Hørby Kjeldsen is a youth coach for Danish Superliga a side AaB Aalborg and uses Tonsser as a platform to communicate with his Under-15s. Eleven of his 18 players are on the app and he will log in two or three times a week, usually when there is a match. He also uses another coaching tool by Icelandic-based Sideline Sports. Tonsser currently favors offensive players for its emphasis on goals and assists, says Kjeldsen, but he also uses it to track players should a certain position in his team need filling. Explaining how he uses the app with his players, he tells CNN Sport: “I would give the team feedback and I would rate our performances; offensively, defensively, tactically, physically. I would rate them from zero to 10 and the players can see how I rated them. Back in Copenhagen, Sonne is realizing his dream; training three to four hours a day, working out in the gym, paying close attention to his diet. “There’s so much focus on you,” he says of life as a young professional. 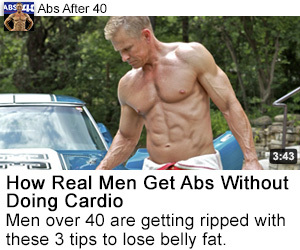 “We do pre-workout and gym after training. You have your own individual program for the gym. We are getting weighed and have to focus on what we eat and not go to bed too late. “They’re very focused on being 100% ready for the match.